We Live In A Political World: #44 / Is It Always Good? #44 / Is It Always Good? If I have any "claim to fame" around my local area, it's probably related to the fact that I was the author of Measure J, Santa Cruz County's rather effective growth management ordinance, adopted by a vote of the people in June 1978. Measure J prevents the development of prime farmland. It directs new growth into existing urban areas. It directs capital improvement funds into such areas, too, to stop infrastructure expenditures from encouraging sprawl. Measure J requires that fifteen percent of the housing newly constructed each year be affordable to a person with an average or below average income. 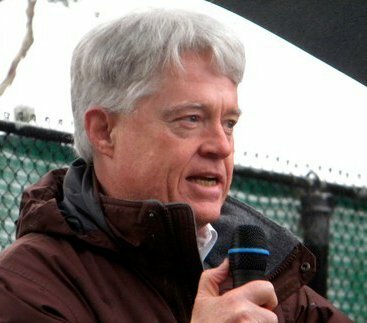 It provides special protections for specially sensitive environmental areas in the County, and it requires the Board of Supervisors to hold a public hearing and then to set a growth goal, each year, so that future growth is under the political control of the people, and so that growth doesn't "just happen," without a specific decision that says it should. This formula for growth management, which essentially mandated "smart growth" before that term was in wide use, is completely unique, and it has made a big difference in what has happened in Santa Cruz County. You can read The Story of Measure J by clicking the link. Measure J itself has been codified, and is now found as Chapter 17.01 in the Santa Cruz County Code. I served on the Santa Cruz County Board of Supervisors for twenty years, from 1975 to 1995, and for most of those years, debates about growth were the hot button topics in the political life of our local community. The local daily newspaper, the Santa Cruz Sentinel, was invariably on the pro-growth side of the debate, and when I woke up on Sunday morning, on January 31st of this year, I found that nothing had changed. The editorial in the Sentinel that morning was titled, "The Cost of Growth Control." As the newspaper had claimed so often in the past, it was arguing, again, that trying to limit or "control" growth makes it impossible for younger people to live in Santa Cruz County, because (so goes the argument) limiting the amount of housing increases its price. Here's the problem: no matter how much housing might be constructed in Santa Cruz County (the smallest county in the state, geographically speaking), that housing will be acquired by those with the most money, and whether it's lots of housing or not very much housing, the "market" follows the "Golden Rule of Capitalism." You know how it goes: "Those who have the gold make the rules." In terms of the housing market, it goes like this: "Those who have the gold, get the goods." Unconstrained housing development does not lead to lower housing prices. The experience of the City of San Jose, and the Silicon Valley generally, demonstrates this truth. There is no "growth control" there, and the housing prices are even higher than they are in Santa Cruz County. Despite about forty years of drumbeating for more growth, the Santa Cruz Sentinel, and other development advocates, keep pumping out the same old, untrue bromides, because the object isn't really to lower housing prices for young people; it's to make development more profitable for the developers. The Sentinel editorial got me going, but here's the point I actually want to make: growth is not "good," in the sense that there is an inevitable connection between growth and a better life. 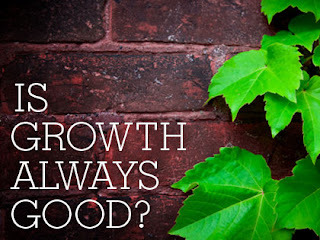 Good is good, and growth is growth, and they may or may not be related. 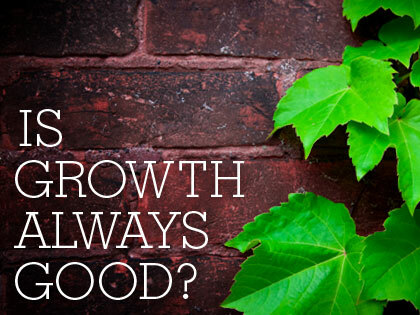 Above all, growth is not "God." Worshipping growth is a particularly ill-informed brand of religion. We create the human world by the choices we make. So far, we have set the rules, almost always, to stimulate growth and more growth. The natural environment, the World of Nature upon which our world is ultimately dependent, is definitely finite. We've got a problem here! I'd like to think our politics, at the local level and beyond, might start questioning the "growth is good" equation. Not always (by any means)! !